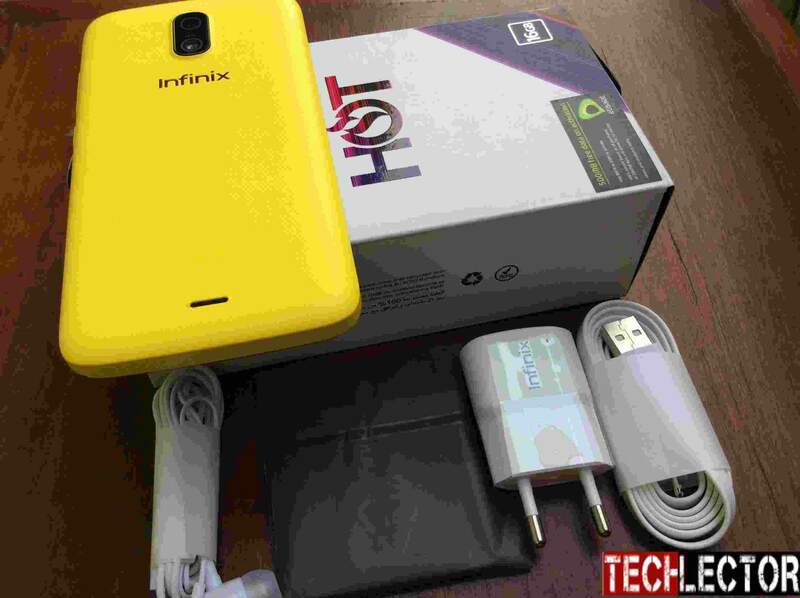 According to a report by the most reliable source for international market studies: Gesellschaft für Konsumforschung (GFK), the infinix hot which came in partnership with Jumia mobile store in March became the top selling mobile brand in Nigeria. The Infinix hot easily beat out competition within 6 month from other major smartphone brands in Nigeria in terms of units sold, showing that the partnership between Infinix and Jumia is in top gear. The truth been revealed is that if you have laid your hand on Infinix Hot, surely you would believe and see that the device is indeed a blessing to an average Nigeria to dwell among the Smartphone users. A table made by the Gesellschaft für Konsumforschung (GFK) in its study shows that in February, a total of 3,404 units of the Infinix Hot were sold. 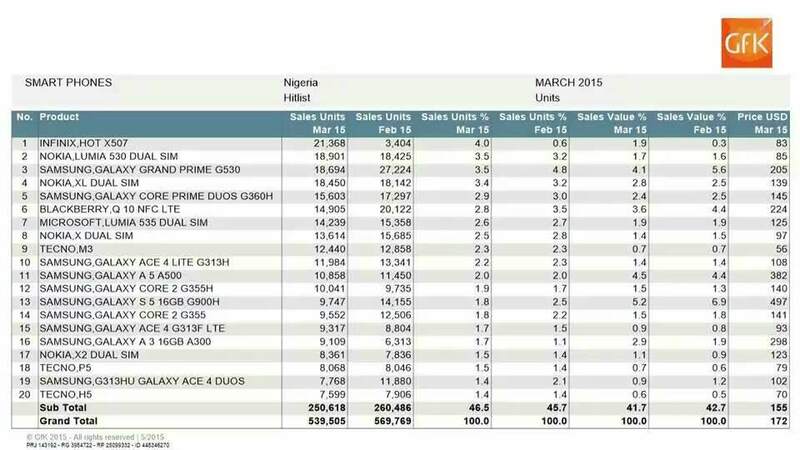 While in March, there was a boost in the sales of the Infinix Hot which brought about a total of 21,368 units of the Infinix Hot sold, out of a grand total of 539, 505 phones sold, showing a 4% market share. The device was followed closely by the Nokia Lumia 530 and Samsung Galaxy Grand Prime with 18,901 and 18,694 units sold respectively. Although, the Gesellschaft für Konsumforschung (GFK) reports is not based only on the Infinix Hot, it offers some interesting insights on other mobile phone sales in Nigeria. For example, it shows a bold move by Nokia/Microsoft with four mobile phones in the top 10 best selling phones for March namely the Nokia Lumia 530 (which comes No 2), Nokia XL (which comes No 4), Microsoft Lumia 535 (which comes No. 7), and Nokia X (which comes No. 8) in order of sales volume. However, Samsung also had a bold move with ten mobile phones in the top 20 best selling phones for March namely the Samsung Galaxy Grand Prime (which comes No 3), Samsung Galaxy Core prime Duos (which comes No 5) and other Samsung Galaxy comes in from No. 10-16 and Samsung Galaxy Ace 4 Duos comes No.19 in order of sales volume respectively, while BlackBerry with the Q10 and Tecno with the M3 completes the list. But, Infinix Hot is the biggest winner moving from nowhere to take the number one spot. The sales performance of the Infinix Hot on Jumia after its partnership with Infinix Mobility in its first full month has made a great History in Nigeria within short period of time and this has turn Jumia to another most checkout Nigeria online store where you can order for genuine product at an affordable price. Infinix Mobility had thought it well after the launch of its Infinix Hot comes the Infinix Hot Note which is also known as the JIM’s BIG Thing with a massive 5.5-inch display also hit the market hardly in the month of April. Will the Infinix Hot Note be able to match its more compact cousin? Only time will tell. Infinix Mobility says that this is just the beginning with an upcoming launch of the Infinix Zero 2 that is going to start on the 1st of June, which is projected to follow in the footsteps of the Infinix Hot and Infinix Hot Note. The Infinix Zero 2 is expected to be available in no time for the biggest mobile sale ever on the Jumia Mobile Week Megathon.